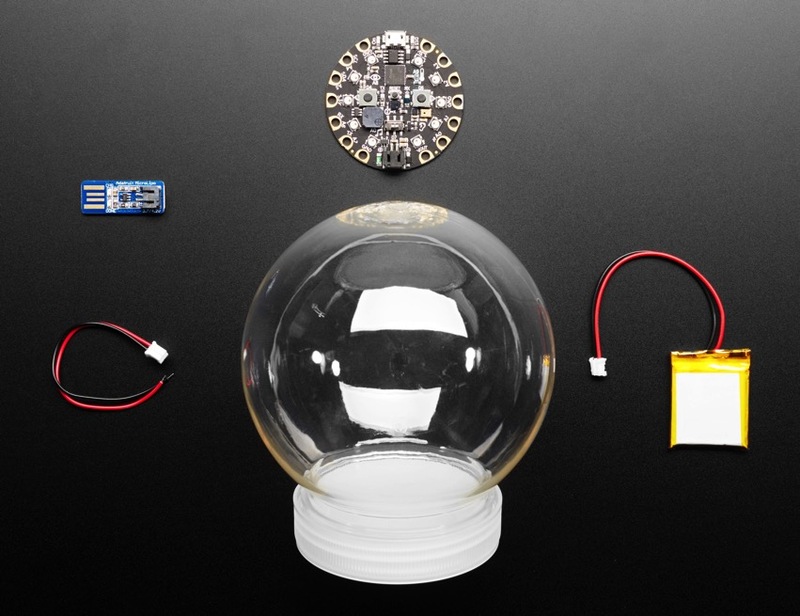 Light up the winter nights this year with an electronic Snow Globe! This kit provides everything you need to make your very own, no soldering required! You can use MakeCode to program various light and sound effects into the Circuit Playground Express. MakeCode uses easy-to-understand drag and drop programming blocks, so even if you’ve never programmed before, you’ll be rockin’ like the Rockettes. The custom plastic ‘snow globe’ container is durable, clear, and round, with a large flat screw-on top and a press-fit rubber stopper. The stopper makes a nice seal, and is also hollow which means you can put (you guessed it…) electronics inside! This makes it perfect for your own electronic-powered snow globe. To program with MakeCode you’ll need a Mac, Windows, ChromeOS or Linux computer. A standard micro-B USB data-sync cable is required to program it as well. You’ll need water, glitter or some other snow-like materials, glycerine (to slow the water down), something cool to show off inside, and E6000 glue to make the stopper seal permanent. Those items are not included, but you can purchase them at your friendly local art supply, crafting or hardware store.